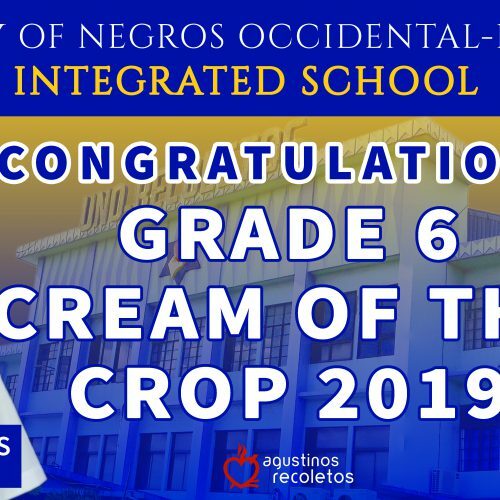 Twelve Junior High School (JHS) Class of 2019 First Honors led the UNO-R IS JHS Completion Rites held March 27, 2019, UNO-R Gym. The twelve are: Hazel Lorraine G. Herida; Charlie Jr. V. Gelotin; Abrielle Kaye S. Barayoga; Abbey Gale D. Cordero; Angel John Dungca; Lora Mikaela dela Rosa; Josephine Rose L. Rojo; Czareena Angelika G. Ocampo; Trisha Elaine Salanap; Reynelle J. Guzon; Seehiah Ruizann P. Faciolan; Cyl Nicole C. Yap. The department also has 18 Second Honors. Special awardees are Herida – Best in Science, Religious Involvement Award, Literary Award in Writing, Iwag Award, DIWA Excellence Award, Genyo Champion of the Year, and REAP Excellence Award; Gelotin – Best in Mathematics and Religious Involvement Award and Ocampo for TechFactor Outstanding student. 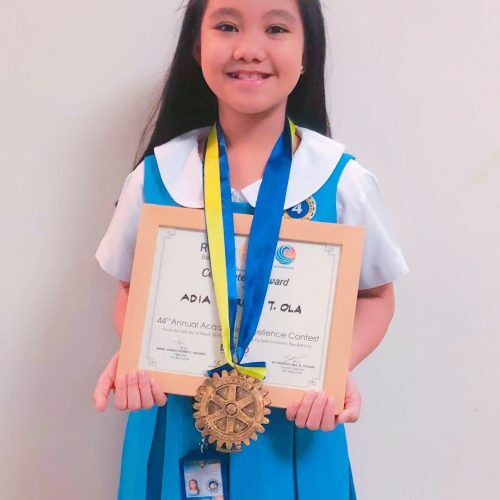 12 were given the Service awards, 7 for Religious awards; 7 for cultural awards; 4 literary awards; 4 in Scouting, 4 for St. Nicholas of Tolentino Awards and 5 for Sports. Benz Christian T. Minanga was awarded with the Youth Leadership Excellence Award and the Leadership Awards.